Senate Democrats announced on Monday that they have launched a marathon session on the Senate floor ahead of the confirmation vote for President Donald Trump's education secretary pick, Betsy DeVos, in an attempt to derail her confirmation. "Democrats will hold the floor for the next 24 hours, until the final vote, to do everything we can to persuade just one more Republican to join us," Sen. Patty Murray of Washington said Monday. "And I strongly encourage people across the country to join us — to double down on your advocacy — and to keep making your voices heard for these last 24 hours." For the next 24 hours, @SenateDems will #HoldTheFloor to oppose the nomination of Betsy DeVos. 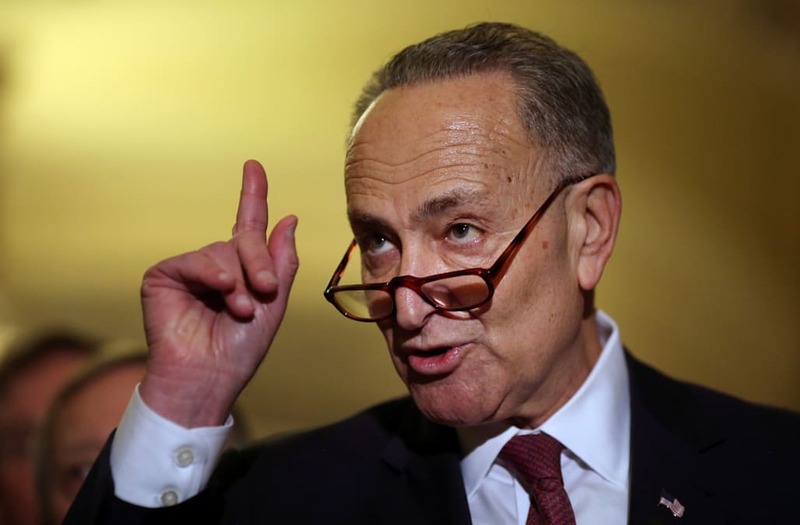 Democrats will be speaking out against DeVos, who Senate Minority Leader Chuck Schumer called "least qualified nominee in a historically unqualified cabinet," in an effort to court one more GOP senator to oppose her nomination. Democrats have complained that DeVos, a billionaire businesswoman, is unqualified to hold position and accuse her of failing to understand education and being fundamentally opposed to public schools. Her business ties have also been questioned. Two Republican senators, Sens. Susan Collins of Maine and Lisa Murkowski of Alaska, announced plans to oppose her, which could result in a 50-50 Senate vote Tuesday afternoon, forcing Vice President Mike Pence to cast a rare tie-breaking vote. If Democrats can convince an additional Republican to join them in opposing DeVos, they can block Trump's pick.